Which Cheeses Are Lower in Fat? 3 Which Cheeses Have the Least Fat? Not all cheeses are created equal, especially with respect to fat content. Cheese lovers can take heart because the fat content of different cheeses can vary as much as 25 to 30 percent. 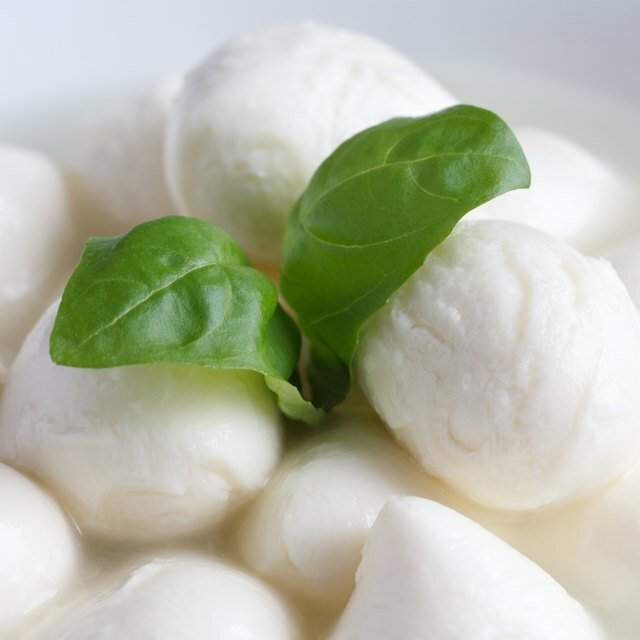 Moreover, replacing traditional cheeses with low-fat versions ensures that you are providing your family with cheeses that are both healthy and tasty. With 9.4 g of fat per oz., of which 5.98 g are saturated, cheddar cheese has more fat than most other cheeses. Blue cheese is almost equally as fatty with 8.15 g of fat, 5.29 g of which are saturated. Saturated fats are associated with high cholesterol levels, which can lead to cardiovascular disease. This is why the American Heart Association urges people to lower their intake of saturated fats. Not all hard cheeses are as high in fat as cheddar and blue cheeses. For example, Gouda has only 7.78 g of fat per oz. and Swiss has 7.88 g. Lower still is feta, with only 6.03 g of fat. Feta is crumbled over salads and used in omelettes. Its intense salty taste adds a unique flavor to foods. It's high in sodium, but soaking it in water for a few minutes before serving lowers the overall sodium content. 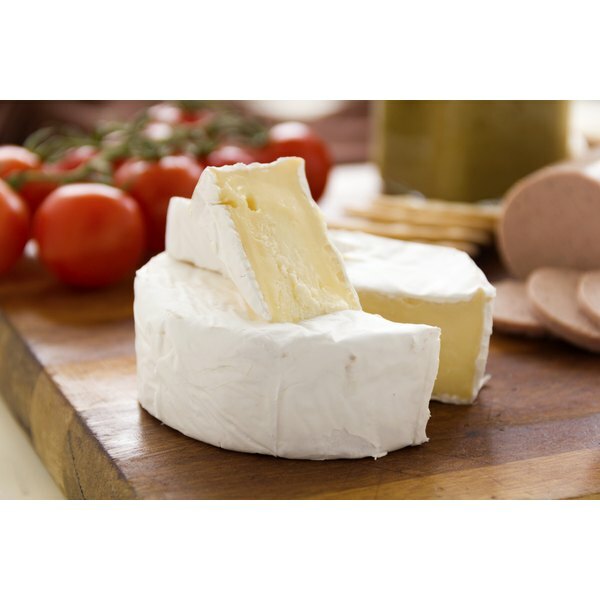 The texture of soft cheeses like Brie, Camembert and cream cheese is due to their high water content. Unlike hard cheeses that can be aged for years, soft cheeses are usually consumed only a month or so after production. This high water content is balanced by a somewhat lower fat content. With 6.88 g of fat in Camembert and 7.85 g in Brie, these two varieties offer cheese fans slightly more healthy alternatives to higher-fat cheeses. Low-fat and non-fat versions of various cheeses are available in most grocery stores. If you find non-fat cheeses unpalatable, low-fat versions are often more acceptable. A little comparative shopping is revealing. For example, while 1 oz. of regular cream cheese has 9.71 g of fat, its low-fat and non-fat variants have only 4.27 and 0.28 g, respectively. Low-fat versions of cheddar have only 1.98 g of fat.